Clearwater Casino Resort assumes no responsibility or liability for the safety or security of guests/visitors and their personal property. Clearwater Casino Resort is not liable for any damage to or loss of personal possessions, vehicles, equipment, or other property; or injuries to any occupants or visitors while at our RV Park. Clearwater Casino Resort reserves the right to seek reimbursement for harm to or destruction of Clearwater Casino Resort property. Guests may be required to leave for failure to comply with RV parking rules, or any other activity deemed not in the best interest of Clearwater Casino Resort. Guests who refuse to leave as directed will be reported to law enforcement. In addition to any other reimbursements, fees, or charges that may apply, Guests who are required to leave will be charged the daily fee for the current day, and if their reservation includes the following day, they will be charged the daily fee for the following day. Clearwater Casino Resort reserves the right to charge all such reimbursements, fees, or charges to the Guest’s credit card or debit card, even if damage is discovered only after the Guest’s departure. It is impossible to have rules and regulations covering every contingency and situation and we reserve the right to update these rules and regulations at any time and without prior notice. Guests have the responsibility to inquire into any policy that may not be published in these rules and regulations. The absence of a particular policy from these published rules and regulations is not grounds for the granting of an exception. Local law enforcement and Security Staff actively patrol the RV parking. Those who violate Washington State law, federal law, or tribal law shall be subject to sanction, including but not limited to criminal prosecution. Unlawful possession or use of controlled substances (drugs) is strictly prohibited and will not be tolerated. Reservations for the RV Park may be made at the Hotel Front Desk, by calling Reservations at (800) 375-6073, or online at www.clearwaterasino.com. RV Parking fees are $30 per space, per day. A Casino Players Club Card is required to use the RV Park and can be acquired inside the Casino at the Players Club. Players Club Card discounts are available for RV Park fees, hotel rooms, casino restaurants, Spa and other resort amenities based on Tier as listed on our website at www.clearwatercasino.com/club-clearwater/rewards/tier-benefits/. Utilities, including Wi-Fi, Power, Sewage and Water will be included as part of the cost per space and are available for guest use after payment. Hotel pool and fitness center access requires a $5 per person additional fee, paid at the Hotel Front Desk. Guests are responsible for hooking up all utilities. Check-in time is 4pm or anytime the desired spot is available on the day of arrival. Maximum stay is 7 days within a 14-day period. Payment must be rendered within 30 minutes of arriving in the spot. Payment and Check-in can be made at the Hotel Front Desk accessed through the casino east parking garage entrance. Check out time is 1pm. Failure to depart the space by 2pm will incur a ½ day additional fee. Failure to depart space by 3pm will incur a full day additional fee. REGISTRATION MUST BE HUNG FROM REARVIEW MIRROR AND VISIBLE FROM OUTSIDE THE VEHICLE AT ALL TIMES. Maximum duration of stay is seven (7) days within a fourteen (14) day period. One space is available per RV. All vehicles, RV, trailers, or boats must fit in one space. 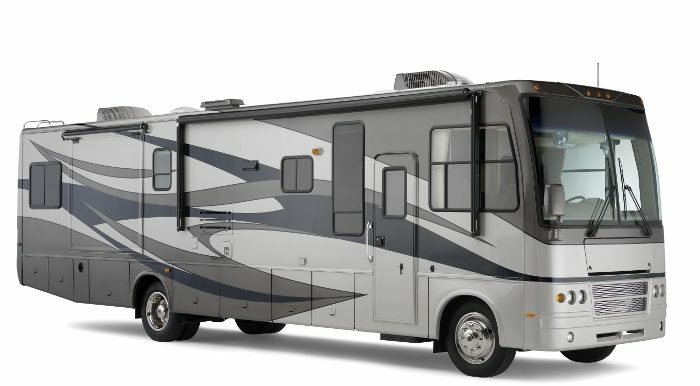 One (1) vehicle, other than the RV, per space is allowed. No vehicles are allowed on the grass areas. All vehicles, RV, trailer, and boats must have current License Plate and Tabs; and must be in “Like New” condition. Trip Permits are not accepted. No vehicle maintenance may be performed onsite. Awnings are allowed only for one (1) space. Pop-ups are allowed. Tents are not allowed. No Excessive storage is allowed. Personal items outside the RV must be kept tidy and within the assigned space at all times. Trash cannot be left sitting outside. Please dispose of trash properly in the containers provided. Clearwater Casino Resort reserves the right to limit the number, size and types of pets allowed in the RV Park. c. Pets must be housed inside your RV, and must be kept on a leash not longer than six (6) feet in length at any time they are outside the RV. d. Please clean up immediately after your pet by discarding solid bio waste properly. Grass areas will be available adjacent to each space. Outdoor wood-burning fires are prohibited. Alcoholic beverages are only permitted inside the RV. No alcohol is allowed outside of the RV. Illegal drugs of any kind are not permitted. Quiet hours are from 10:00pm to 8:00am daily. Please be considerate of your neighbors at all times. No loud or unruly conduct. Generators are to remain off during quiet hours. Unruly conduct, loud, obnoxious or lewd behavior, public intoxication, or profanity will result in your removal from the RV Park, at the sole discretion of Clearwater Casino Resort. Brandishing, open display, or use of firearms of any type, including but not limited to BB guns, air guns, and/ or paintball guns is not allowed on property. Any damage or destruction of Clearwater Casino Resort property will be reported to law enforcement and the guest will be required to leave the property. Please call our Security Staff at 360-598-8760 immediately if you witness any criminal or suspicious activity.